Romance and Me | Book Lovers Inc. It has come to our attention (thanks Amanda for pointing it out) that lately there has been a real billionaire hero boom in romance novels. No, of course I’m not saying this is something new, wealthy, obscenely rich, exotic heroes were always à la mode for category romances, it’s only that in the past couple of weeks we have read novel after novel featuring one of them (like Weekend Agreement, The Marriage Bargain, Blackmailed by the Italian Billionaire just to name a few). So we wondered what is it about rich heroes that makes them such a popular choice? Today I thought I would talk to you about pet peeves. Romance novels certainly have quite a few of the usual clichés (soulmate connection, misunderstanding crisis, big love declaration at the end, etc.) and we romance lovers tend to tolerate and even enjoy them at times. However there are some that we just can’t accept. One of those pet peeves that irritate me more than anything is the instalove connection. I’m sure you have already come across it in a novel or two when the hero and heroine meet, lock eyes and bada beem bada boom feel the Earth-shattering love, soul-deep connection after having known each other only for 5 minutes /2 days/ a week, etc. (recurring mentioning of the words destiny, fated, special bond, etc. usually appear) Any time I read this happening to a fictional couple it drives me hair-tearing-out mad. After a little break Romance and Me is back but this time we are not talking historical romances but a much debated and controversial romance trope: love triangles! Love Triangles seem to be “in”, wherever you turn it seems every novel or movie features them, from the Twilight saga to the new Hunger Games movie it is everywhere. And everyone seems to have their opinion about them, you either love or hate them, there is usually little middle ground. 2) I was rooting for that hero. Welcome back to the 4th Romance and Me post devoted to discussing Historical Romance. We have already discussed whether HR is a genre you enjoy reading, what attracts us to these stories and what is our favourite time period, so it’s time to share what we dislike about HRs, let’s talk pet peeves! Romance and Me: What do you love the most about Historical Romance? Welcome back to #3 of our Historical Romance sessions. Today let’s talk about what we love the most about historical romance stories! Romance and Me: What’s your favourite HR time period? Welcome back to #2 of our Historical Romance sessions. Today we’ll discuss time periods. One of the best things about historical romance stories is that they come in all shapes and sizes i.e. set in so many different time periods. There are some set in Ancient Egypt (like Priestess of the Nile), Greece or Rome, Medieval times (all those delicious Highlander heroes *dreamy sighs*), then there are the many set in Regency/Victorian/Edwardian England with those dashing dukes and rogues, and sure there are the more modern ones set during World War I or II or later, just to name a few. 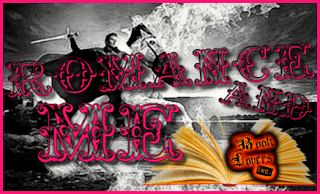 Romance and Me: Do you like the Historical Romance Sub-genre? When creating this bi-weekly feature we brainstormed that it would be a good opportunity to highlight and discuss the various romance subgenres as there are so many. Well the time has finally come to start our venture into Romance Sub-genres 101. As Jackie needs her blackboard for her Elements of Lit 201 class, why not make this a more relaxed event and take a comfortable seat around the coffee table, you can choose from the sofa, armchairs, the plush carpet or even bean bags and let us begin! Our first sub-genre to explore will be historical romance. As it is such a vast genre and we can discuss so many related topics it will be the subject of our discussions for a few weeks. The Romance and Me Reading Challenge! 1. You have to read at least 1 book per month from the monthly theme. 2. There will be a monthly theme: each month we will explore a different romance sub-genre. 3. The challenge runs from 15 January 2012 until 31 December 2012, you can join anytime. Romance and Me: A Ghost Love Story or Romance Busters? Today’s discussion topic was inspired by our special author guest Stacey Kennedy and her latest release Supernaturally Kissed, which is a paranormal romance story between a breathing living heroine and a deceased ghost hero (you can read our dual review here). I was immediately intrigued by the concept of how could an author write a love story, romantic relationship between a living person and a ghost and have the readers believe in their love and happiness? We romance lovers need our hero and heroine to touch, kiss, make love, then how can an author make a romantic relationship sound satisfactory and fulfilling without any physical contact? Is it possible? Romance and Me: What’s your story? We have been discussing romance novel related topics for some months now, and even though you have told me about your firsts, I still haven’t heard your story. The story of how you discovered and fell in love with the romance genre. Was it love at first read? Or did it take several books? What kind of romance novel is your favourite?